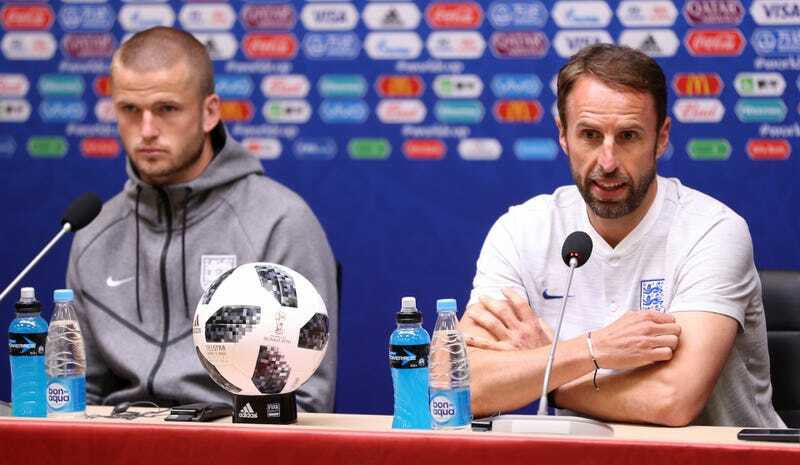 England and Belgium will meet tomorrow at Kaliningrad Stadium in a match that will decide which team will win Group G. Both teams have scored eight goals and conceded two in a matched pair of blowout wins against Panama and Tunisia. This means that if they draw tomorrow, they will have identical goal differentials and “fair play points”—essentially, who has fewer cards—will decide who wins the group and who finishes second; Belgium have one more yellow card than England right now. They might want to strategically aim for England’s shins tomorrow, though, because the second-place finisher in Group G is set up a lot better than the winner. A few quirky results have made it such that one half of the World Cup knockout round bracket is significantly stronger than the other. Sweden and Croatia winning their groups over Mexico and Argentina while favorites like Brazil and France were taking care of business has created quite the imbalance. Spain is the only heavy favorite on its side of the bracket, but the other half is loaded. You can see how this has set up as clearly as England and Belgium can: the team that loses on Thursday gets to play down there on the bottom right, and would probably be favored against their first two opponents. The muddled situation in Group H makes finishing second in Group G even more enticing, since Japan currently leads the group and has the best chance to win it. I’m sure fans of both Belgium and England would rather play Japan and Switzerland than Colombia and Brazil. Projecting out into the semifinals is impossible, though it’s already guaranteed that at least one semifinalist will be breaking relatively new ground. Also it’s worth remembering that Portugal finished third in their group at the Euros and then ended up winning the final largely because the Euro 2016 bracket was similarly chaotic. All of which is to say, maybe you should watch Tunisia play Panama tomorrow afternoon?